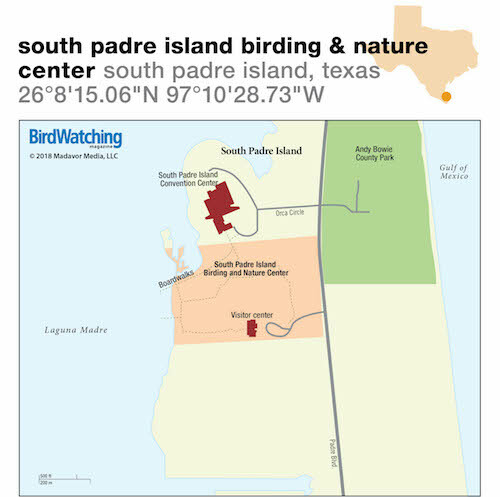 Javier Gonzalez is the naturalist educator at the South Padre Island Birding and Nature Center. He has a passion for promoting coastal bird conservation through birding. In April 2018, Gonzalez spotted a Great Black Hawk on South Padre Island — the first ever confirmed sighting in the U.S.
No fewer than 330 species have been seen at this South Texas coastal hotspot. Look for skimmers, terns, spoonbills, rails, and many more birds.